A man whose date died after falling from a speedboat into the River Thames has appeared in court. 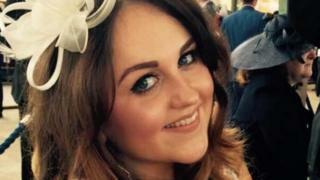 Charlotte Brown, 24, died in hospital after both she and Jack Shepherd ended up in the river on 8 December 2015. Police were called to reports of someone in distress near Wandsworth Bridge, London, at about 23:45 BST. Mr Shepherd, 30, of Bristol, did not enter a plea when he appeared at Wimbledon Magistrates' Court charged with manslaughter by gross negligence. He was ordered to appear at the Old Bailey on 15 November. Ms Brown, a business development consultant from London, was described as "caring and fun-loving" by her family.